We’ve all had those days when work seems to hold us captive and there’s just no time to sneak away for lunch. 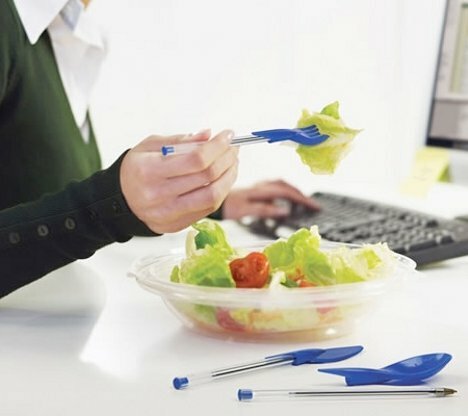 This inventive product uses the office supplies that are no doubt scattered all over your desk to make it easy to at least catch a quick bite while you’re toiling away through your lunch break. 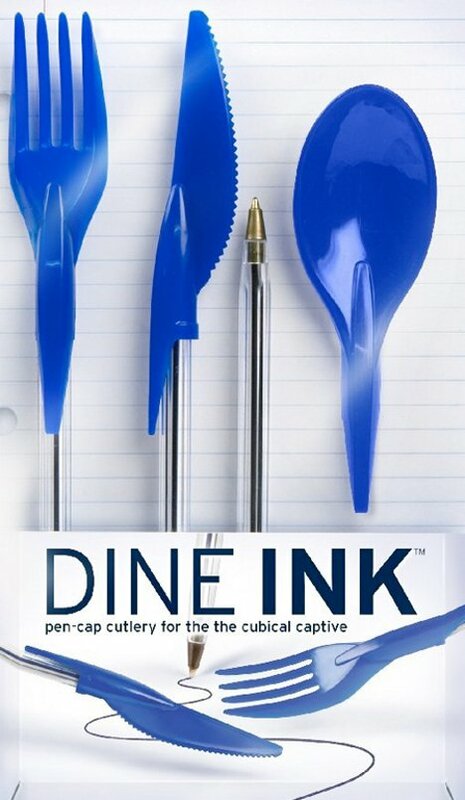 Dine-Ink utensils fit over the top of ink pens just like standard caps, letting you use the body of the pens as your fork, knife and spoon. Maybe not suitable for heavy eating like steaks or scalding soup, the clever utensils could no doubt be used for lighter fare such as salads and snacks. 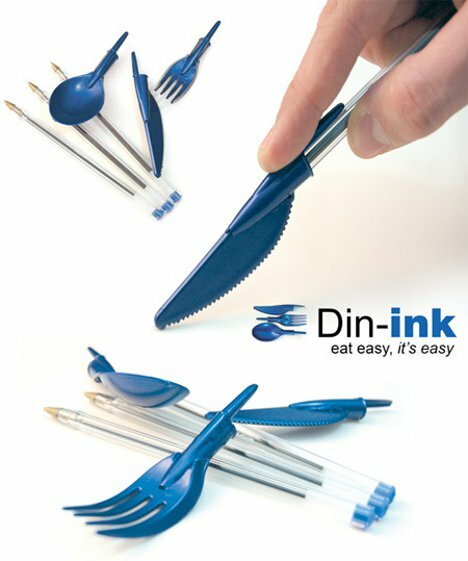 The novelty utensils are an actual product that you can buy for your favorite workaholic. Sure, keeping a set of conventional plasticware in your desk would be easier…but it wouldn’t be nearly as fun. See more in Various Gizmos or under Gadgets. January, 2012.